Our former nanny (2017-mid 2018) Bambie Ordinario has just learned that she has a brain tumor, on the left side of her brain. She is scheduled for emergency brain surgery - an 'Awake Craniotomy' - on 14th February at the Hospital Saint Anne de Paris, 75014. Only then will doctors know if the tumor is benign or malignant. This will also determine her survival prospects and the treatment she will be needing, both short and long term. She needs to be awake during this lengthy procedure to lessen the risks of triggering permanent loss of speech or paralysis. Bambie, and her family need help: her medical costs are covered by France's social insurance, but she isn't eligible for any basic financial support, and she needs resources to survive this: to pay the rent, buy food and continue to finance her children's education in the Philippines. We would dearly also love to bring her children to Paris, to see their mother again, particularly if there is a risk she won't survive this. The airfares are reasonable but securing a visa can cost thousands, due to a monopoly of the market by rapacious ‘fixers’, so we're looking into all the options to reduce these costs. 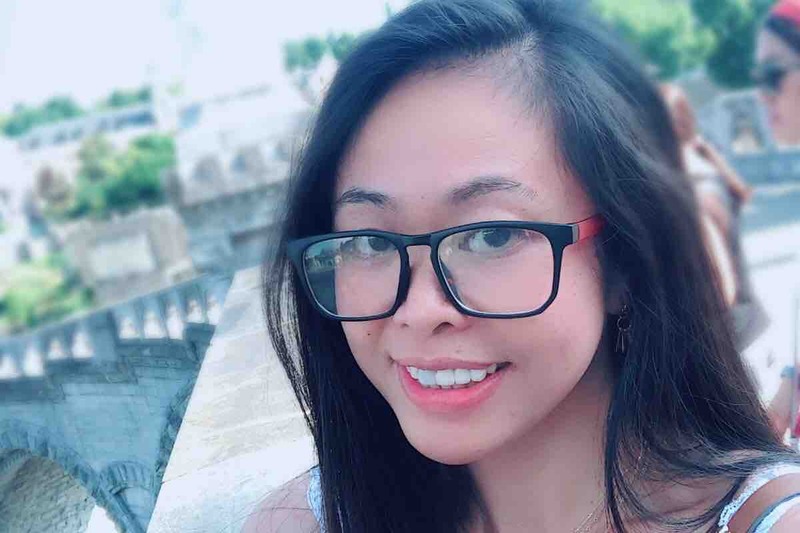 As a young Filipina, and like so many others, Bambie left her home some four years ago and headed to Europe visa in hand. Her two children - now 13 and 7 - stayed in the Philippines with her husband, and Bambie financially supports them as well as her extended family through remittances. Her family are aware of the surgery and are praying to god they will see her again, but the pace at which the problem has escalated is frightening. In the short period since she was diagnosed, just prior to New Year, Bambie has gone from have recurring headaches, dizzyness and numbness in her fingers to now being almost paralysed and unable to walk. It is very difficult to know if Bambie will get through this, or if she'll see her children again. Doctors are as yet unable to give a suitable prognosis. What we do know, however, is that in the event Bambie's tumor is benign, and even if she isn't harmed during this initial procedure, it will be many months before she will be fully functioning, or able to provide for herself and her family again. Having cared for our little boy Darius for close to a year, with all the love and affection she did, and being parents ourselves, we want to do all we can to support Bambie during this difficult time. As friends, family or simply empathetic individuals, we would kindly also ask you for any support that you could give - even the smallest donations would help. Many of us are born into this world a good deal more fortunate than others - some of us simply do not have the same choices as others. On this occasion, your support can help on young woman and her family reduce the very difficult and uncertain impact of what lies ahead. As many of you will know, Bambie had her surgery on 14 February. 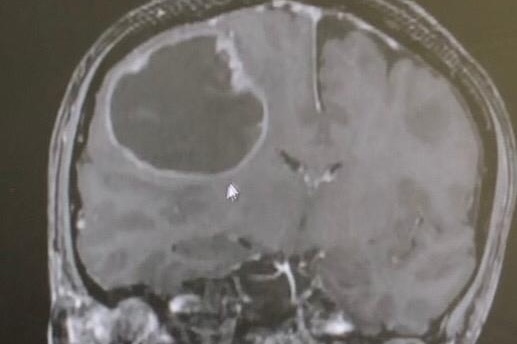 Surgeons removed a 6cm tumor and the surgery was deemed a success. Although Bambie has had a variable level of movement in her fingers following the surgery, overall she is making remarkable progress with her recovery. Bambie remains in ongoing therapeutic care at the Hospital Centre Stell in Rueil Malmaison where she is undertaking kinesiology and other forms of physical therapy. She is able to return home on weekends. We have been awaiting news on her prognosis - ie. was the tumor benign and malignant? Unfortunately, to date, the results are inconclusive - although there has been some suggestion that radiotherapy or chemotherapy may be needed. Clinicians are further analysing the results, and we will provide an update as soon as we are able. 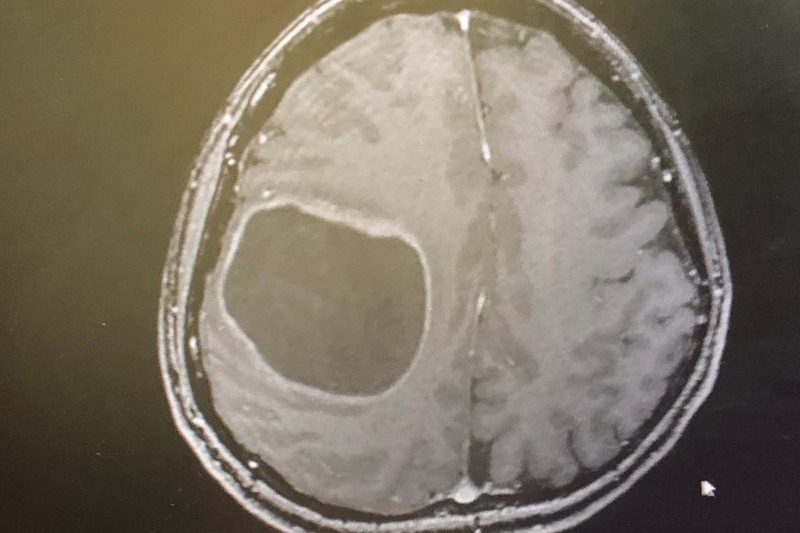 This is an scan of the tumor Bambie has.